Youth / Fun – LCSBABE – Whether protection from damaging chlorine or race drag reduction, TYR caps are more than just a fashion statement. Designed with a precision fit for reduced drag and tear resistant. Made to slide on easily, and stay on. Popular in the racing world, durable and long lasting color. Specifically designed with the recreational swimmer in mind, our Durafast Elite caps are made from a high denier poly fiber and innovative circular knit construction, the new blend of 94% Polyester and 6% Spandex, combines the strength and colorfastness of polyester but with the comfort of spandex. The Elite caps are extremely comfortable and refuse to pull or snag. Classic Size: Larger size fits adults and children. When swimming in open water, safety is paramount. The Hi-Vis Warmwear Cap features a bright color that provides you with extremely high visibility, helping you stand out and be spotted more easily in all water conditions. Meanwhile, PU coated elastic polyester construction retains your body heat for added warmth and protection. 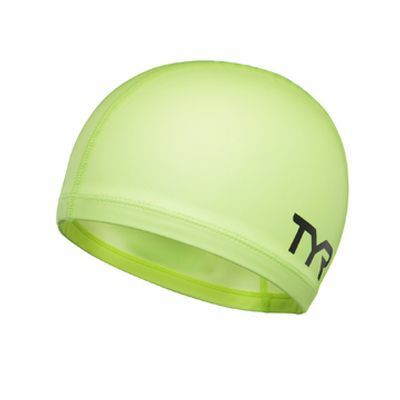 The LCSLYCHV neon swim cap protects your hair, while simultaneously reducing drag and maximizing speed in the water. Swim smart, swim safe with the TYR Hi-Vis line! Engineered to provide protection from damaging chlorine and increase speed, the Kaleidoscope Swim Cap is more than just a fashion statement. Designed with a precision fit for reduced drag and tear resistance, TYR Swim Caps are made to slide on easily and stay on. Ideal for casual or competitive use, the LCSKAL Swim Cap features durable and long lasting color and a unique design. Training – LCL – A TYR classic. 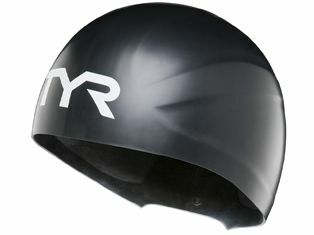 These original, lightweight Latex caps are proven and have a reputation for a perfect fit. Standard 30 gram weight. Durable ribbed edge for secure fit. Classic Size: Larger size fits adults and children. The Long Hair Wrinkle-Free Silicone Cap gives new meaning to the mantra “Long hair, don’t care!” The swim caps unique asymmetric design effortlessly accommodates long hair, while reducing pressure around the head. There is also an improved contour cut around the ears. 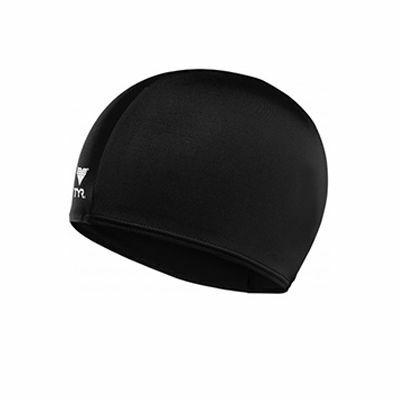 Constructed with 100% silicone, the LCSL long hair swim cap is extremely comfortable and durable. It effectively reduces drag in the water and maximizes your speed. Choose from an array of chic colors, including purple, blue, black and white. If you’re going to say something, say it loud and clear with TYR Swim Caps. Engineered to provide protection from damaging chlorine and increase speed, the Multi Silicone Swim Cap is more than just a fashion statement. Designed with a precision fit for reduced drag and tear resistance, our Swim Caps are made to slide on easily and stay on. Ideal for children and adults, the LCSM Swim Cap features durable and long lasting color and a playful design for the water. 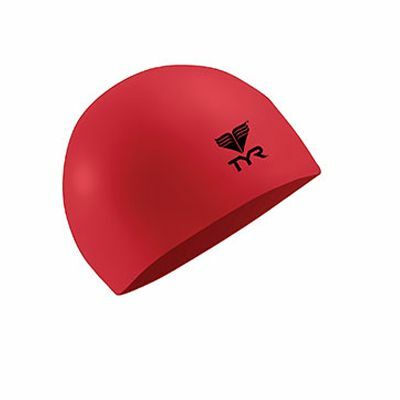 Youth / Fun – Whether protection from damaging chlorine or race drag reduction, TYR caps are more than just a fashion statement. Designed with a precision fit for reduced drag and tear resistant. Made to slide on easily, and stay on. Popular in the racing world, durable and long lasting color.